Pesaro is one of the main cities, with Urbino, of the province of Pesaro-Urbino. The antique Pisaurum was founded by the Romans in 184 b.C. along the Via Flaminia. 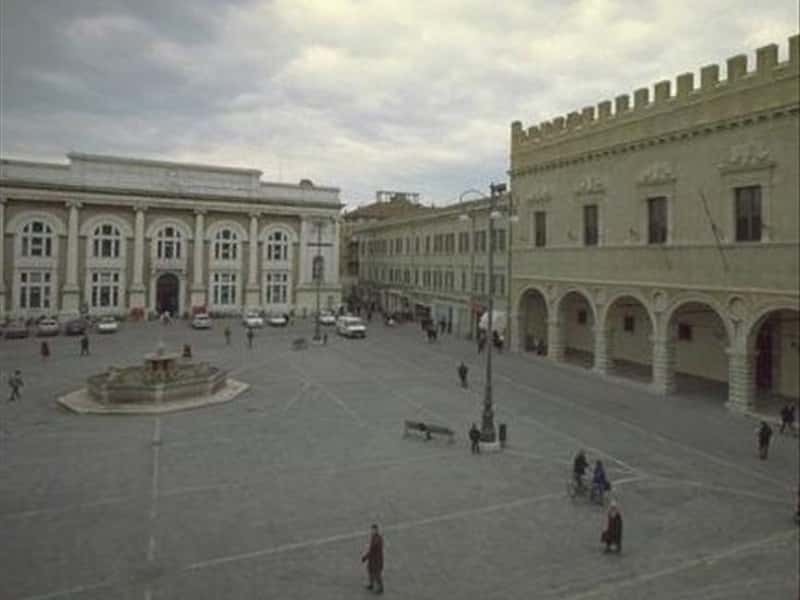 Its major economical and cultural growth was registered under the Lords Della Rovere, between the XVI-XVII centuries, that choose Pesaro as the major city of their Dukedom. After the death of Francesco Maria della Rovere, in 1631, the Dukedom became part of the Pontifical State. A wonderful fountain is the main feature of Piazza del Popolo, built between 1588 and 1593 commissioned by the Duke Francesco Maria II della Rovere, decorated with Tritons and Hippocamps. Another feature of the same square is the Palazzo Ducale, built at different stages by the Lords that governed the city between 1285-1625: the Malatesta (1285-1445), the Sforza and the Della Rovere (1513-1625), and the Church of Sant'Ubaldo (XVII century), where the Duke of Urbino Guidobaldo and his wife Vittoria Farnese are buried. The Cathedral, of the XII century, was radically renovated in the second half of the '800 and during these refurbishments the workers made the sensational discovery of a wide mosaic pavement, which extends for the whole width of the church. The façade in Romanesque-Gothic style, although incomplete, features two lion shape column bases at the sides of the main portal. Not to miss: the Rocca Costanza (XV century), the Church of Sant'Agostino, with an important Gothic portal in stone of Istria and the Sfera grande (a large sphere in bronze, similar to the one in polyester in front of the Foreign Office in Rome. legacy of the artist and founded in 1882, is one of the most famous schools for musicians of the World. This town web page has been visited 45,773 times.